Last week, Nipsey Hussle‘s body was laid to rest through a touching memorial service that included performances by Jhené Aiko, Stevie Wonder and more. Hussle’s family spoke during the event, remembering all the incredible things he achieved during his 33 years life. The hip-hop community has been continually speaking out about his passing, using social media to spread their messages. T.I. and The Game have been very vocal about wanting to keep Nipsey’s legacy alive and today, Miguel gave us his two cents by stating his pretty controversial opinion. In a new video posted to the singer’s page, Miguel is seen rocking a plain white t-shirt with several words printed on the front. The statement is sure to divide his fanbase and potentially earn him some strongly-worded comments. “How Nipsey before Trump?” reads the shirt. It appears to have been customized with Nipsey’s name appearing in a different font than the other words. Clearly, Miguel is trying to make a point here. He doesn’t care about your political opinion; he simply believes that instead Nipsey Hussle being taken away from his community, Donald Trump should have been in that spot. 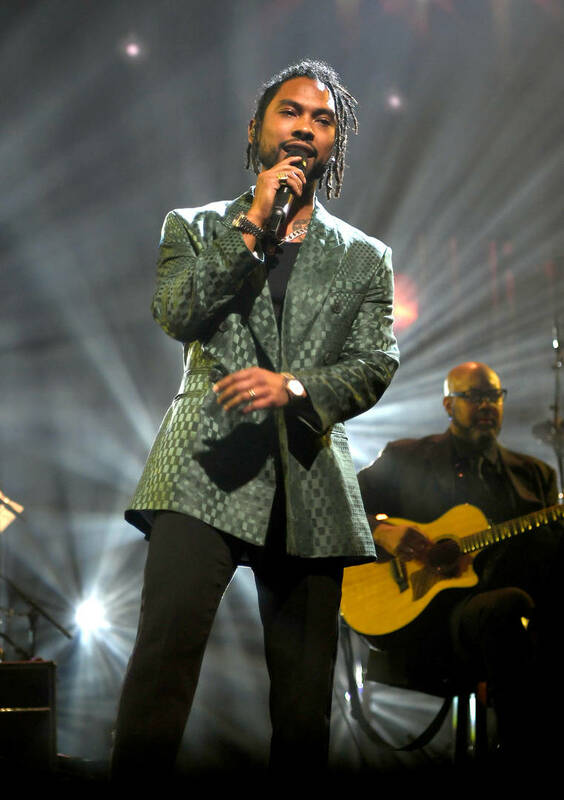 Miguel has spoken out in the past about Trump’s treatment Mexico and his decision to build a border wall to keep immigrants away. This is just the most recent instance the singer speaking his truth for us all to interpret.